Dallas Criminal Defense Lawyers. Clint Broden & Mick Mickelsen are board certified by Texas Board of Legal Specialization in Criminal Appellate Law and Criminal Defense Law. It’s important to understand the impact of social media in sexual assault cases. Here’s what you need to know when facing charges. The number of people using social media today is so large that it has become influential in many aspects of daily life. 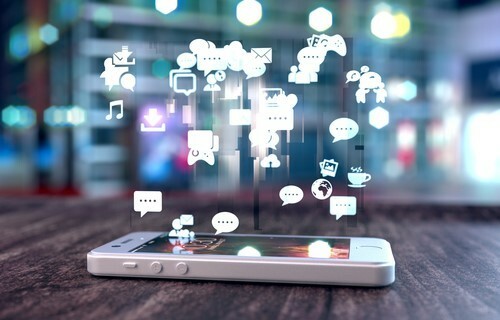 According to the Pew Research Center, social media growth has maintained a steady incline over the past decade, with as many as 69 percent of people in the United States claiming accounts on at least one social network. One could argue the advantages and disadvantages of this, but most people are unaware of how social media can impact criminal cases. One example of this is the role of social media in sexual assault cases, and how it can affect the outcome. Anyone who is questioning the validity of social media evidence in criminal cases should start by taking a look at a few news headlines. It seems that frequently there is a new, emerging story about a crime that was reported or bragged about on social media. Often times, these types of situations involve younger people who become involved in cases of harassment or assault and record the event using their smartphone cameras. Not understanding the seriousness of their actions, they post to social media expecting a massive response. This isn’t to target young people specifically, in fact, evidence of many types of criminal actions – committed by various age group demographics - can be found on social media. Knowing this, social media has become one of the first places prosecutors turn to when compiling their evidence in cases such as sexual assault. It’s important to understand how deep a prosecutor can dig into a defendant’s social media history. For example, they can subpoena social media accounts and look through every post, comment or interaction of the defendant, including private messages and deleted posts. When this happens, the prosecution is looking for both direct evidence of the crime committed and comments or behaviors that indicate a weakness in the defendant’s character that illustrates the likelihood of their involvement in a crime. For example, when someone is accused of sexual assault, social media profiles can be scoured to look for any derogatory remarks, whether they are directed towards the alleged victim or are more general in nature. This brings us to the point that even when a post or comment is deleted, it is never completely erased from the social landscape. For example, even without subpoenaing the social network, it’s possible for the prosecution to gather evidence of deleted posts or comments from the social accounts of friends or acquaintances. If one person comments on a post, the history of that comment can remain in their account even after the original post was deleted. This accessibility makes it easier for the prosecuting team to not only find compelling evidence, but also show that the defendant had reason to delete social media content that could pose a threat to defending their case. In recent years, we’ve also seen more cases of sexual assault or harassment that start on social media. It might begin with an occasional comment on a personal picture and eventually escalate to unwelcomed private messages that are derogatory or threatening in nature. While social media might be one of the first stopping points for the prosecution, in some cases it can be leveraged to prove innocence in cases of sexual assault. For example, action taken on social media comes with a time stamp as well as an associated IP address where the action took place. For someone who has been wrongfully accused, this type of evidence can prove that the accused was not at the scene of the alleged crime or that they were otherwise engaged at the time the crime took place. Furthermore, social media can also assist in proving that the alleged crime was consensual in nature through accessing personal messages and interactions between the accused and the alleged victim, as well as other comments or posts made by the victim that illustrate that no assault or non-consensual acts took place. Individuals facing charges need to understand the significance of social media in sexual assault cases. Social media is an element of evidence that can be leveraged by either side depending on the circumstances. If you’re involved in a sexual assault case, one of the most important things you can do is to suspend all activity on your social media accounts. Then, the next step is contacting a Dallas sexual assault defense attorney. An experienced attorney can help you understand your rights and how social media can affect your case while preparing the best defense to protect your freedom.